The theme park will add a new area dedicated to the popular children's show, opening within the next few years. Some Florida theme parks will be debuting new attractions this week. SeaWorld Orlando on Wednesday is opening a Sesame Street land, while down the interstate, Legoland Florida in Winter Haven is debuting an area based on "The Lego Movie" and its sequel. Both additions to central Florida's theme park landscape are aimed at young families. The 6-acre Sesame Street land at SeaWorld Orlando is located where the kid-friendly Shamu's Happy Harbor used to be. It's an apt location given the Sesame Street land is the theme park's boldest step away from live killer whale shows. The last killer whale born in captivity under SeaWorld’s former orca-breeding program died Monday at the company’s San Antonio park. Veterinarians were treating the calf for an infection, possibly pneumonia, but her health continued to decline. The park discontinued its breeding program in March 2016. 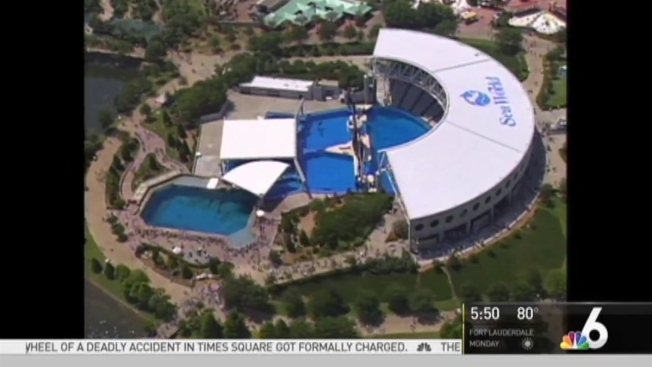 SeaWorld decided to stop breeding orcas and phase out its world-famous killer whale performances, after public opinion turned against keeping orcas, dolphins and other animals in captivity for entertainment.